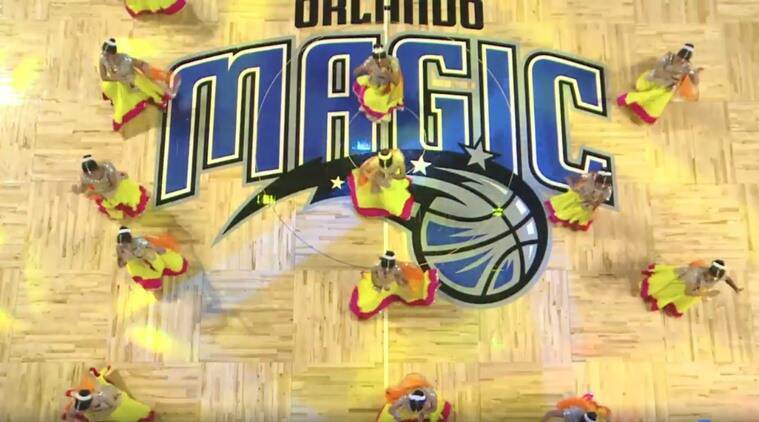 Baahubali Fever In Orlando: NBA Features A Baahubali Performance! Indian kids dressed in bright coloured, shimmery lehenga-choli and kurta-dhoti pants perform on title track of 'Baahubali 2' at a NBA event in Orlando! Baahubali Mania in Orlando NBA Event! Maverick filmmaker SS Rajamouli’s ‘Baahubali’ part I and II have etched a special place in people’s hearts. The blockbuster franchise not only made huge bucks at the box office but also made several new records. It also gave the nation, the latest heartthrob—Prabhas. ‘Bahubali 2: The Conclusion’ (Hindi version) became one of the biggest grossers of 2017 and the madness is still on. In fact, not just in the country but in the West too people can’t help but fall in love with the film and its songs. The National Basketball Association (NBA). India recently shares a video on Facebook where a group of school children sporting traditional Indian attire are groving to the title track of ‘Baahubali 2’—Saaho Re Bahubali. And guess what? It’s awesome! Orlando gets treated to some CRAZY DESI VIBES! ?????? You will instantly connect with the Indian kids dressed in bright coloured, shimmery lehenga-choli and kurta-dhoti pants. We all do remember our school cultural functions right? But the only difference here is that it’s the freaking NBA and the platform is huge for the sport lovers. Do check out the crowd reactions who are happy and enchanted by ‘Baahubali 2‘ magic!